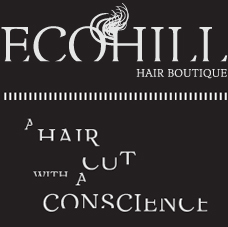 At Eco Hill Hair, we pride ourselves in being a little different to the rest. We cut, colour and style hair but we do it with a conscience. This means we go out of our way to give you the cut youre after; the one that will make you look and feel fantastic and draw compliments from friends, family and colleagues. Plus the products we use and sell have no nasty chemicals, they are kind to your hair and your skin; they are also kind to the environment and deliver fabulous results! Experience the friendly & professional service that I give to my clientele at Ashgrove Nail & Beauty. Offering a tempting range of treatments for you to pamper yourself with, I have a wealth of experience, offers quality products with affordable prices to match. My Beauty Menu includes: Facials, Microdermabrasion, Waxing, Pedicures, Gel Toe nails Body treatments,Tinting, Manicures Gel Polish and Nail Enhancements . Ashgrove Nail & Beauty is a professional salon with private beauty rooms and offer some great monthly specials. You can find me in Alderley, in Brisbane's Norther suburbs. Bookings are by appointment - available during the day, away from the hustle & bustle of busy shopping centres, my salon is the perfect place to drop into between appointments, on your day off or any day you feel like doing something special for yourself!